Love this color combination: Petra Class' piece on the cover of the latest Metalsmith magazine! For those of you thinking about going to the Toronto SNAG conference next year, please look at this info ahead of time, particularly at the US Customs and Border Protection Guide!! Well, to cut this short, this year I decided to buckle down and donate to SNAG! I can’t give thousands of dollars but I know that even my few bucks will count, will be noticed, will be effective and will support something that is really important to you and me: our community of fellow metalsmiths and the message that needs to get out there that what we do is great. I mean, really, what is more important than jewelry and metals? Anyone? PS: Money is what keeps things afloat. It’s really that simple. Your contribution and your involvement matter very much, particularly to a small arts organization like SNAG. Thank you again! "Contemporary Goldsmithing: Tradition & Excellence"
For centuries, master goldsmiths worked with precious metals, gemstones, and pearls, delivering highly desired jewelry and hollowware to courts and churches. The traditional techniques and skills needed to produce extraordinary pieces have changed little over time. Shown in museums, acquired for private collections, sold at esteemed auction houses, and universally revered, the finest examples of contemporary goldsmithing continue to astound viewers with their timeless beauty and skillful execution. "Contemporary Goldsmithing: Tradition & Excellence" is the second virtual exhibition organized by SNAG. We are looking for high-quality images of exemplary work by contemporary, traditional goldsmiths. We welcome one-of-a-kind jewelry and objects created from precious metals. Of added interest are designs and processes implemented in response to the rising cost of materials. Each entry should epitomize the best of what is being created in the studio today. George Sawyer, celebrated goldsmith and maker of exquisite mokume gane, will jury this exhibition with two other jurors of his choice. Watch in 2013 for the Call for Entries with instructions on how to submit work. SNAG announces the creation of a new Community Liaison position on the board of directors. New board member Brigitte Martin will be the first person filling this position. communityliaison@snagmetalsmith.org (or find her through the SNAG website under Contact). Hey for those of you attending SNAG, this year brings the first (unofficial) ROOM CRAWL. An opportunity to host a little soiree in your room, show some work and mingle! Email snagroomexpo@gmail.com for more information about showing your work and hosting a party. 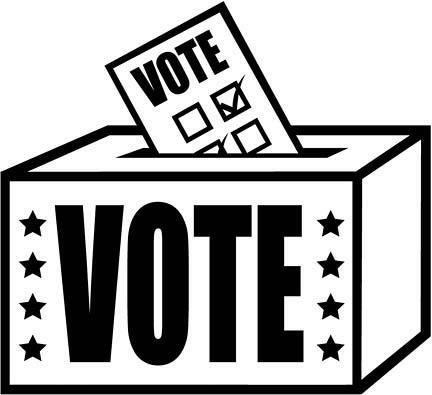 Mail in ballots are now available on our website, and must be postmarked no later than May 18. Mail them to the SNAG office, 540 Oak Street, Suite A, Eugene, OR 97401. 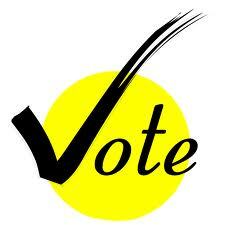 The online voting will begin this Friday May 11 on our website, and will remain open through Friday May 25. You can also vote in person onsite at the conference. Everyone will receive ballots when they check in at registration, and the Voting Table is prominently positioned immediately outside the Grand Ballroom. We have two candidates running for President, four candidates running for two open seats on the board of directors, and two candidates running for one seat on the Nominations & Elections Committee. We actively encourage you all to vote. 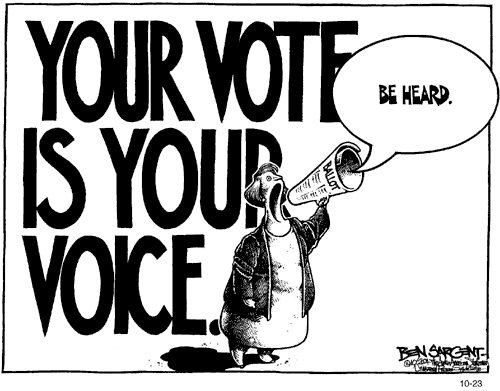 All current SNAG members have the right to vote, including students. Hours: Tuesday – Saturday, 9:30 am – 5:00 pm. Additional hours may be required during exhibit change and events. Responsible for the safekeeping and handling of the Metal Museum’s collections (including the of Permanent and Research Study collections and the library collection of books, periodicals, photographs, drawings and folios), as well as art objects individually on loan or on loan as part of a temporary or traveling exhibition. Responsible for updating and maintaining all records pertaining to museum collections: computerized files, hard copy files, photographic/slide files, manual card catalogue system and location files. This includes organizing and maintaining the library collection, including books, periodicals, papers, photos, catalogs and slides, recommending and overseeing the repair of items in the collections and developing and implementing a system to organize, digitize and catalog images in the library collection. Responsible for all documentation pertaining to museum collections: Incoming/Outgoing Receipt forms, Loan Agreement forms, Deed of Gift forms, Permission for Reproduction forms, general correspondence, condition reports and location reports. Responsible for documentation pertaining to proposed gifts, bequests, museum purchases and de-accessions. Responsible for initiating paperwork involving loan requests from other museums and forwarding to Exhibitions Coordinator. Responsible for coordinating arrangements for temporary exhibitions, traveling exhibitions and incoming/outgoing loans: transportation, insurance, packing/crating, and import/export customs brokers. Responsible for coordinating and supervising photography of museum collections and temporary loan objects for catalogues, museum photographic files. Responsible for dealing with insurance company regarding museum collections and temporary art objects: certificates of insurance, damage claims, and photo documentation. Supervises and assists in packing/unpacking of all art objects: either part of temporary exhibitions, incoming/outgoing loans, and/or gifts and purchases. Responsible for updating Facilities Report, Collections Policy and other related documents. Works with the Exhibitions Coordinator in the input of information and the production of computerized labels, both in-house and traveling exhibitions. Responsible for the preparation and exhibition of possible acquisitions. Responsible for setting meetings and taking minutes for the Collections Committee. Assists with organizing future traveling exhibitions. Assists in the production of exhibition and permanent collection brochures, catalogues, and the museum newsletter. Acts as courier for art objects on loan locally, nationally, and internationally. Train appropriate museum staff on the proper handling, packing and conditioning of artwork. Other Responsibilities include, but are not limited to greeting guests and acting as a docent/guard for the galleries, monitoring general cleanliness of the buildings, conducting tours as necessary, assisting with events (openings, fundraisers, etc.) and performing other essential duties as assigned. Inform Executive Director of issues or progress. Respond to change productively and perform other essential duties as assigned. Education: Masters degree, with a major in museum studies, fine arts or art history preferred. Experience: Minimum 5 years experience in a museum preferred.